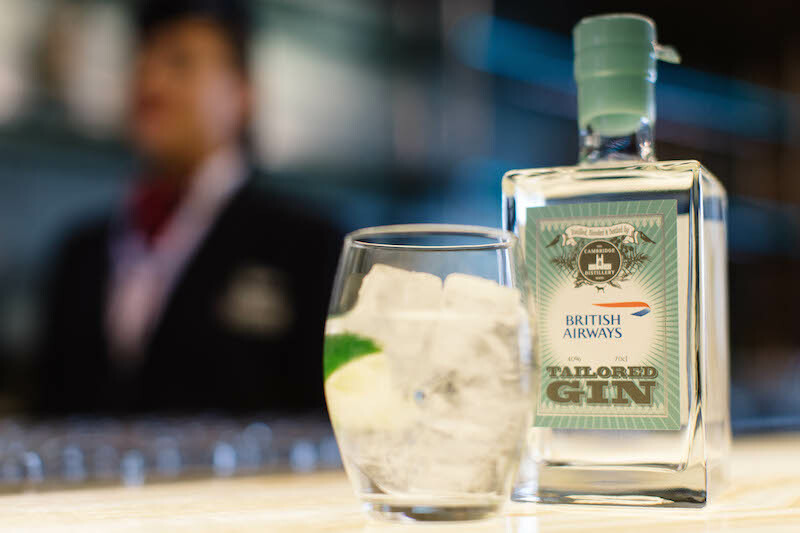 British Airways is introducing its very own exclusive brand of gin for premium customers. 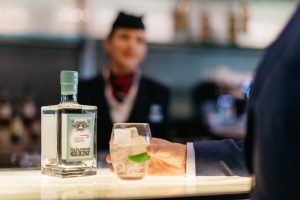 From November 23, the specially made tipple – British Airways Gin – will only be served to the airline’s First customers, from the bar of the prestigious Concorde Room at Heathrow’s Terminal 5. 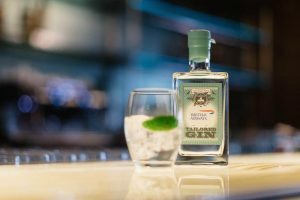 It has been blended for British Airways following extensive taste tests with First customers at the Concorde Room bar in London, by the award-winning Cambridge Distillery, the world’s first ‘gin tailor’. The main botanicals used in the exclusive herbaceous gin (aside from juniper) are basil, rosemary and thyme, which are all grown in the distillery gardens in Cambridge. A gin and tonic is one of the most popular alcoholic drinks served on British Airways flights – the airline’s customers sip more than three million of them every year. The Cambridge Distillery is among the most highly awarded in the world and has come first in every single international competition it has entered. As well as making British Airways Gin, the Cambridge Distillery also make a blend especially for The House of Lords, which is on sale in Parliament. Another specially-made blend includes a variety named the world’s most expensive gin – Watenshi Gin – using a refined technique, which sells for an eye-watering £2,000 a bottle. Customers flying in First with British Airways can enjoy dedicated check-in and Fast Track access to a network of exclusive luxurious lounges around the world – including the prestigious Concorde Room in London’s T5 and New York’s JKF airport – to relax, dine and drink fine wines and champagnes before their flight. From next year customers flying from T5 will be able to use The First Wing entrance, a brand new and enhanced private check-in area for First customers, offering an exclusive security lane, direct to the British Airways’ Galleries First lounge and through to the airline’s flagship Concorde Room. Once on board, customers have their own private, spacious suite, with a fully flat bed, complete with mattress and a crisp white cotton duvet, ensuring a very comfortable night’s sleep. Or they can unwind watching thousands of hours of the latest movies and TV shows thanks to British Airways High Life Entertainment on widescreen TVs, and enjoy delicious five star in-flight dining served by attentive cabin crew at 35,000 feet.